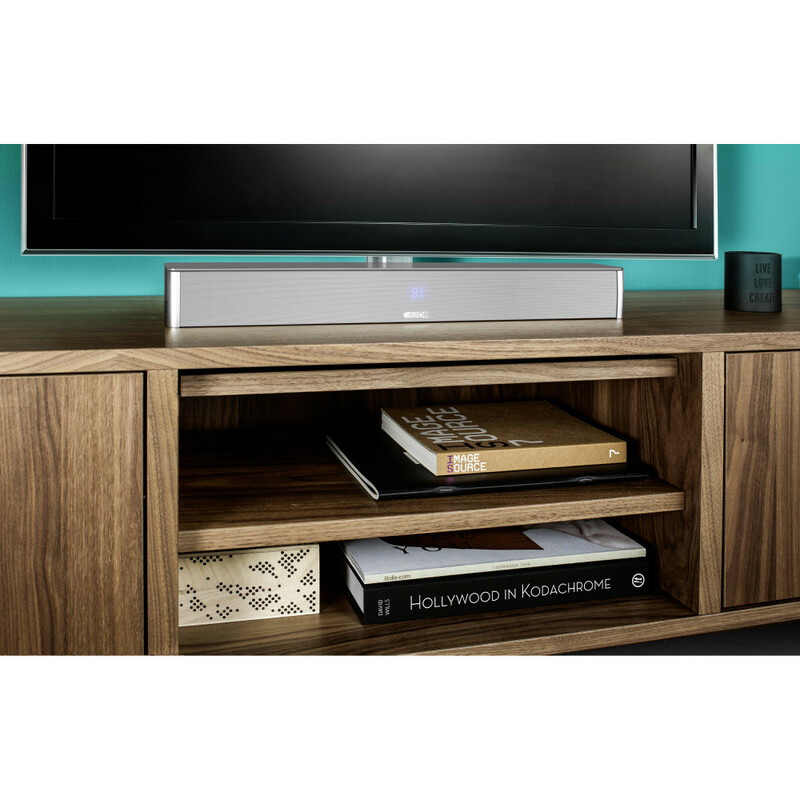 The DM 5 is a one-piece soundbar that improves the sound of your TV, so you can enjoy your favorite movies in top sound quality. 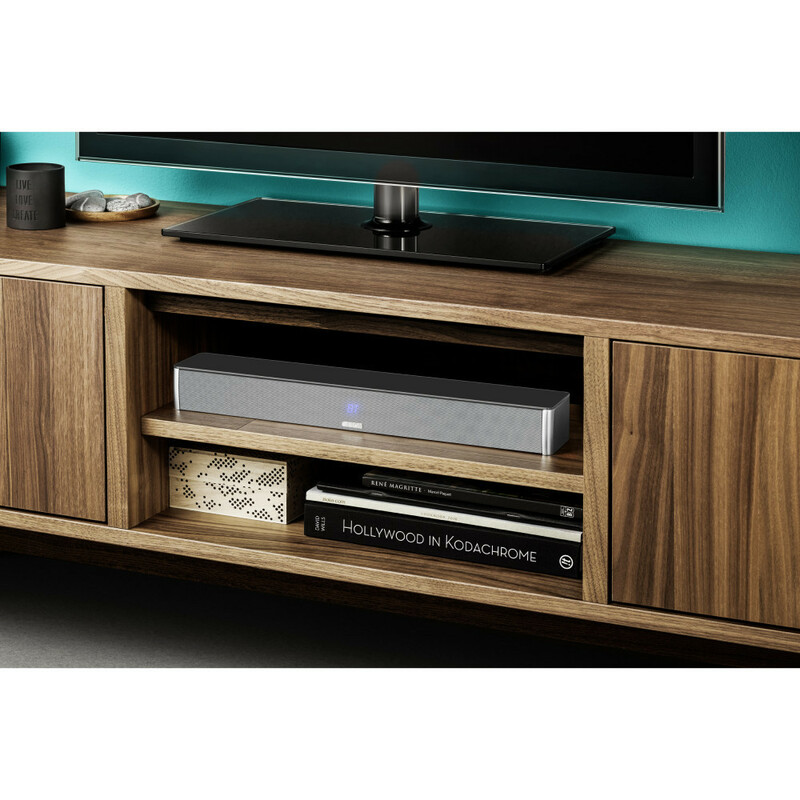 Via our Virtual Surround technology, dialogues and homecinema effects are clear and powerful. 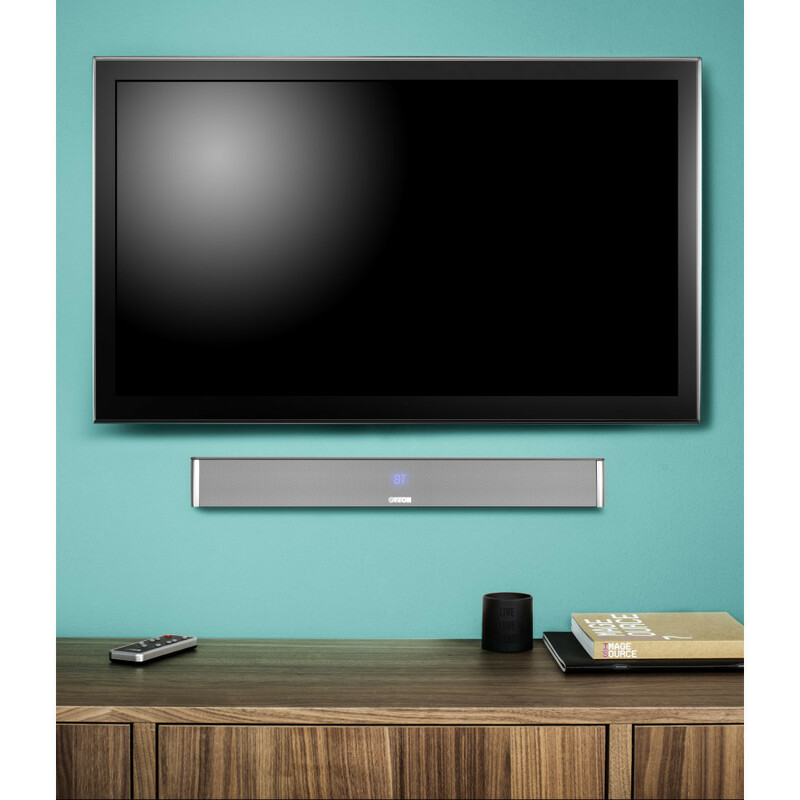 The compact soundbar is so versatile, it can be placed nearly everywhere whether it’s in front of the TV, in a shelf or thanks to the integrated wallmount it can be mounted to the wall. 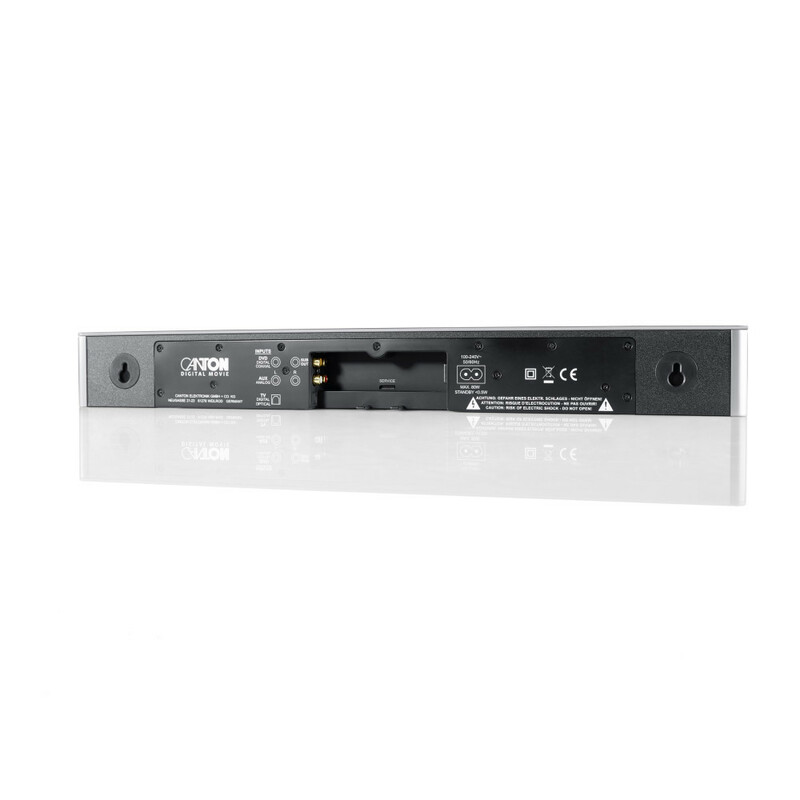 The installation of DM 5 couldn't be easier - Simply connect the DM 5 to your flat-TV with one audio cable (optical, digital cinch or analogue cinch) and the DM 5 automatically knows which input you’ve used. 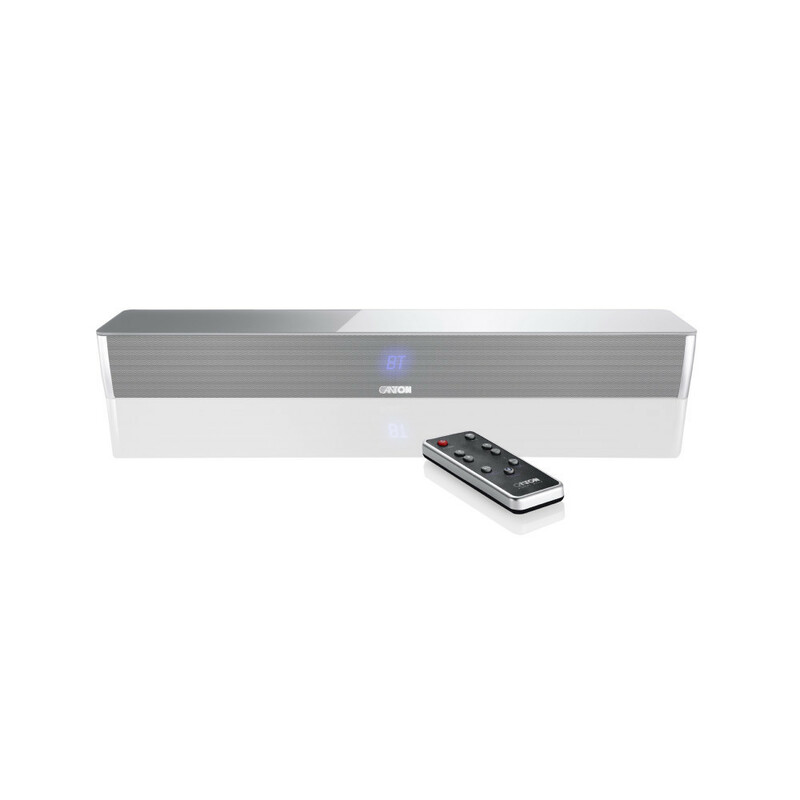 The automatic on and off switch guarantees, that the soundbar automatically turns on / off as soon as the flat-TV is turned on / off. 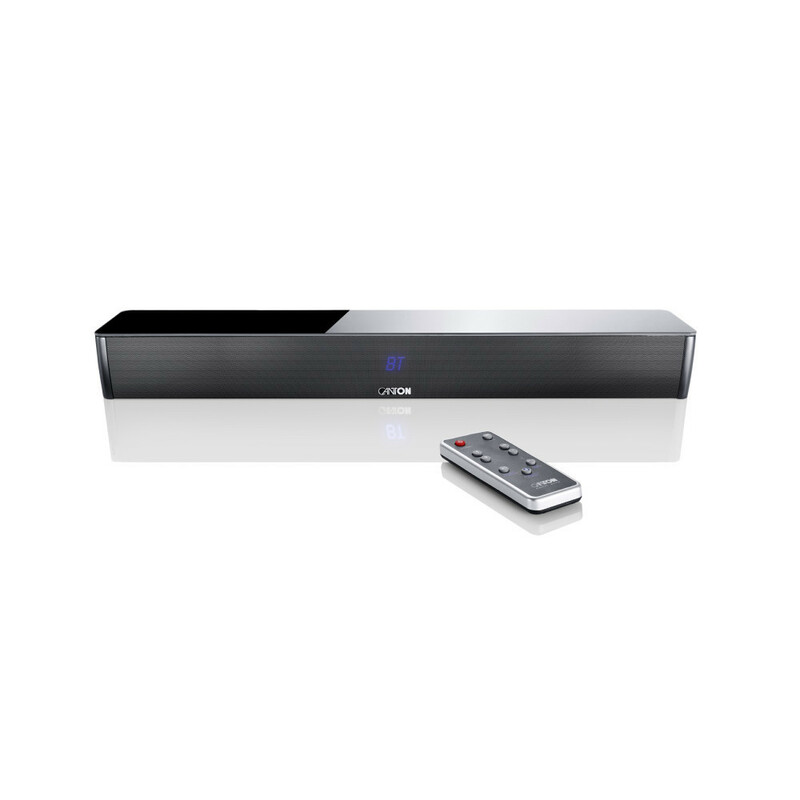 Another comfortable feature is the regulation of the DM 5 with the TV-remote - you just need one remote control to operate sound and vision.